How has Ogunte brought about a social impact by working with female change-makers? Servane has worked for 16 years as a conscious innovation entrepreneur. She founded Ogunte a certified B-Corp and social enterprise that amplifies the impact of the women social entrepreneurs’ ecosystems, through capacity building and programme management for, and with, social entrepreneurs, as well as their business support and finance providers. 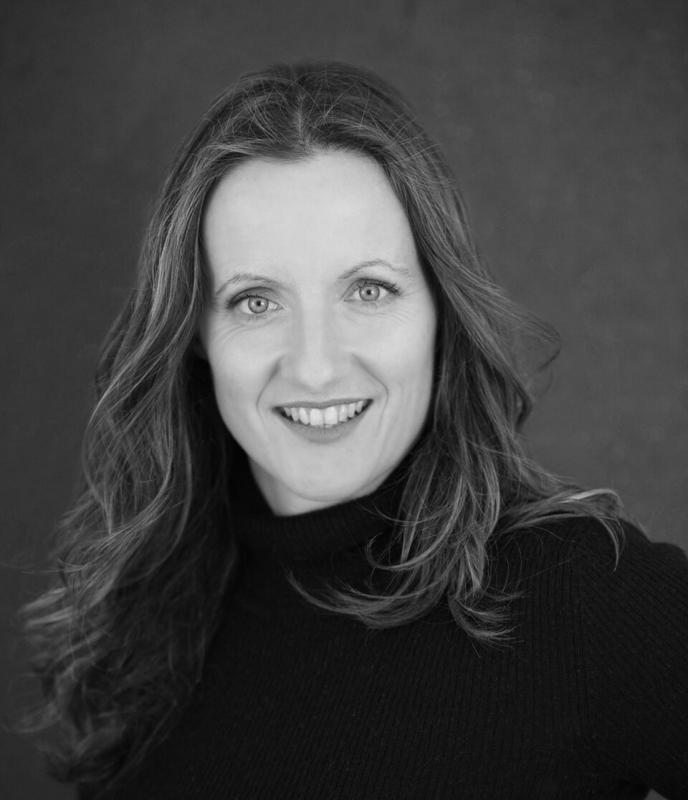 Ogunte has supported over 5,000 female change-makers; developed the first incubator for women social entrepreneurs in the UK, and run the International Women’s Social Leadership Awards with over 130 finalists from 23 countries. Servane collaborates with the Womanity Foundation, investing in and supporting organisations that prevent online violence against women. She also serves on various advisory boards focusing on women in social finance, social entrepreneurship, and women’s empowerment. Working with women wasn’t Servane’s initial choice. Her first interest was around social and environmental change. She was obsessed with it and it was her reason to get up in the morning – even though she did not know where to start! Servane created her own entity and business while living in the Netherlands. She did not want to work for big Corporates anymore, as it was not inspiring enough for her. So she started focusing on community groups and art groups who were involved in creating change. Servane started to grow her network in the Netherlands. When she moved to the UK she continued working with charities and third sector voluntary groups. Servane realised that there was a wave of promotion around developing social enterprises in the mid 2000s. There was a lot of funding available as a result and there were a lot of capacity building programs being made available, which Servane designed and delivered. A lot of the programme attendees or beneficiaries were women. They were coming out of the voluntary sector wishing to make themselves sustainable. Some of these women had products that could be sold, some did not. There was a gravity around the topic of social enterprise that was being amplified. Servane discovered that there was a cohort of women who were very comfortable in the space that they co-designed together. There were plenty of networks for women in business and for women in the voluntary sector. There was, however, no space deliberately designed for women in social enterprise. This was how the new business idea of Ogunte arose – without Servane selling or promoting anything. Savane named her business Ogunte back in 2001 in the Netherlands. As a result she feels it was like a premonition; Ogunte is the name of a female spirit in part of the world such as West Africa and Brazil. As a result, the concept of women who soldier through and who protect others was already embedded in the organisation through this name! Slowly Ogunte created more and more of the products that were deliberately focused on women and made with women. One of these programmes was the Women in Social Leadership programme which ran at various locations in the UK. This developed later on in to an international award and coaching programme. Ogunte is a sustainable business that is making a profit. This was not always the case. Servane started as an activist and learnt by doing. With her first enterprise, she ran a deficit – which she realises was the cost of being an activist. Through experience Servane learned it is about making strategic decisions and ensuring your social purpose and commercial objective are aligned. Firstly, Servane believes it is important to collaborate with and invest in people. It is not about working as an individual, but learning to work with others and invest in them. Secondly, realise it is not about changing the world; it is important to focus on particular areas of strength, or where the best collaborations can be put into practice. This will make impact. The key point here is to collaborate with other structures; like foundations, local government, investors and having longer term retainers. This doesn’t guarantee financial stability but it supports it. Then keep focus by avoiding distractions and managing programmes. Along the way validate knowledge and the product with stakeholders, with women social entrepreneurs and the business support providers. Having conversations with the recipients/the clients provides information to transform product and services. They help validate the organisations work and also become co-designers. Through this they help make decisions also. Finally, she concludes that it is important to monitor and evaluate in the long term that the organisation has contributed to some sort of shift or change. Monitoring and evaluating also contributes to legitimising its activity. For Ogunte it is about the beneficiaries first and the impact they are making. This was how they managed the whole sustainability of the business. 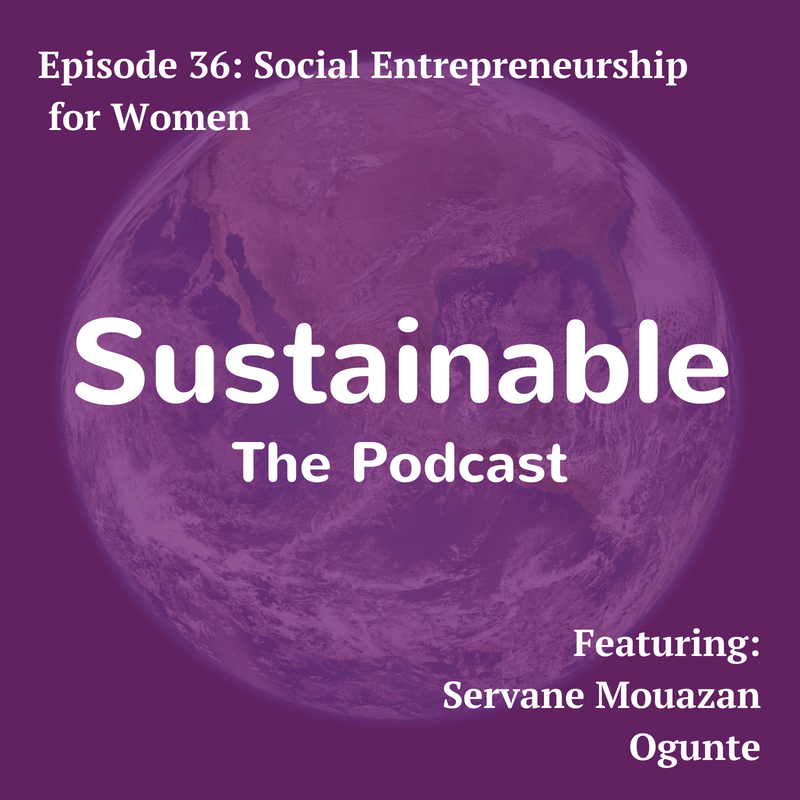 In Servane’s point of view, when social entrepreneurship and sustainability are put in the same sentence, it as a circular economy; a wise investment in the people and the environment in which you live. The concept cannot be a silo concept. People are linked to their environment; urban-built or countryside, or to nature which is everywhere. To reduce the impact on the planet these concepts need to be embedded together; by not being linear in thinking and by keeping resources and assets for as long as possible, as long as they do no harm. The aim is that choices and decisions made do not create harm now or in the future. Consider how to extract the maximum value from a resource without doing any harm, creating more poverty or environmental disaster. The circular economy is about recovering resources at the end of their life. The ‘do not harm principle’ – having a future proof activity that does not harm, investing in people (recognising them as capable people and as people of value – who bring value, have value and share value, but not in an exploitative way), and having an ethical base – is what Servane believes in. Considering this principle with daily decisions; asking little questions and having little answers leads to taking little steps and making a positive impact. It is a mindset and a lifestyle for Servane. It is a constant deeper questioning to see whether you are living up to the ethical values that you are trying to embody. You need to have a check on yourself and understand if it is for the long run. It is not just a 9-5 thing. For Servane, it is not only about the nature around us, but it is also about the nature within us. For Servane, whether or not she is in a natural environment, connecting to the inner nature within herself is important. Servane uses Capoeira (a Brazilian Martial Art) as a tool to achieve this. Practicing Capoeira teaches focus, self control, balance and timeliness. This helps Servane centre herself, take action in the world and make a difference by helping her recognise that there is a beauty in nature, but there is also challenge and struggle that sometimes can be masked by what’s going on. – Talk to your neighbours, help them when they require it – without forcing yourself onto them. Take care of yourself, take care of your neighbours, take care of your village, say thank you and just do something. – Listen to all of the podcast carefully because of Tabi’s capacity to recap and summarize beautifully! The women who are out there in different cultures, different parts of the world. Servane admires the fact that they just get on and do it, and whether or not they identify with the label of social entrepreneur they are creating the catalyst and the change, and who who manage to survive in the face of adversity. – Understand your impact and make sure that you are not creating more poverty for yourself. Have certain financial practices, create a personal finance plan and get the training you need. From here move on to the organisation’s financial practices. – Ask the deeper questions – Who you are trying to save – yourself or a genuine cause? Is it that you need to go and do some personal work first to make sure you are in the right place, physically, mentally and emotionally to actually launch a business? – Connect with other people. https://map.ogunte.com/ is a resource which looks to connect women in social enterprise all round the world. – Make sure you do the research to check the viability of your product or your service. Also make sure that you are questioning the lenses that you are working through, and recognising cultural and societal difference so that you are not unintentionally doing harm in the pursuit of doing good. – Make sure you have the money to sustain yourself. – Transition slowly from part time to full time. – Dive in, get support. – Make sure you recognise the value of investing in yourself; via training and learning. Be clear about what you get out of something and the knowledge you acquire.